Planning a wedding is a full time job, which is why wedding planners are so often used but making your own tick list of things to consider must happen on the big day, should be considered as it’s not as daunting as you may have first thought. 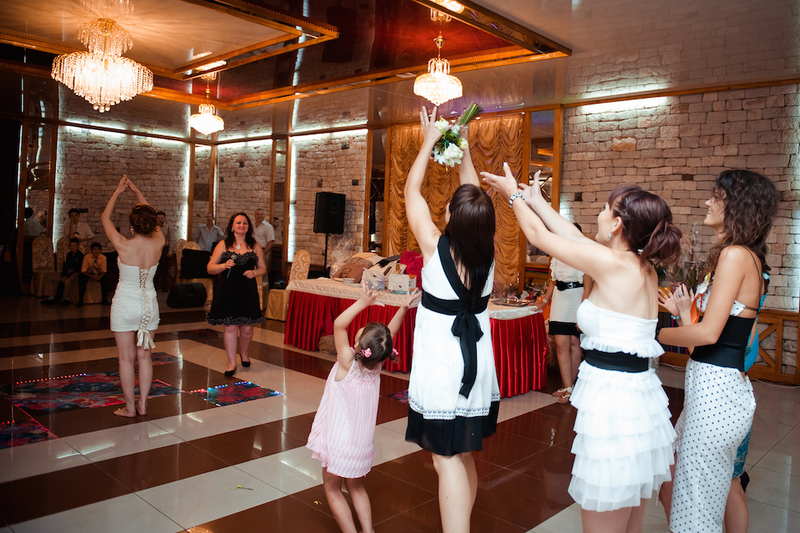 You and your partner may well be asking whether children should be at the wedding or the reception. If the wedding is a formal affair or a plush evening do then you may want to consider leaving children off the list but do be prepared to alienate some parents of younger children who will have difficulty looking for a child minder at short notice. A gift list is usually sent out after the couple tying the knot has received back all the replies as to who will be going and who cannot make it. A lot of British couples simply ask for some money for the honeymoon rather than traditional gifts like toasters, kettles and wrapped almonds. But there are some wedding customs which do stand the test of time. Such traditions are the gifts for the mother of the bride. The groom should by tradition present the mums with a bouquet of flowers and try doing during the speech. The best man should get in on a similar act too. And don’t forget the garters. The lingerie item should be traditionally removed from the bride by the groom, he must then blindly toss this to the male friends in attendance. Whichever male catches it [the garter] should place it on the left leg of the lady who caught the bouquet [which the bride tosses to the ladies while facing away from the gathered maidens]. What is the timetable of events that a traditional British wedding follows? The entire ceremony should begin with the bride entering the church (to the regal tones of Here Comes the Bride on the organ) and after the celebrant has welcomed the amassed guests, the ceremony sings hymns, listens to readings, hears a sermon and then we get to the interesting ritual of the vows. Once the register has been signed the wedding ceremony ends with the final blessing. 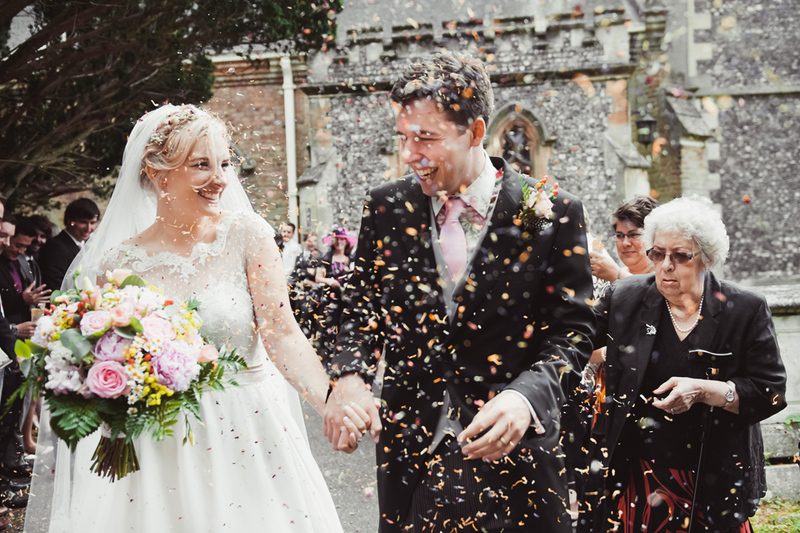 As the bride and bride groom exit the church or registry office, confetti is thrown over the happy couple and they usually are whisked off in a car of a horse and carriage with garnets tied to the bumper. This is a great opportunity for the wedding photographer to take as many pictures as possible of the happy guests exiting from the ceremony.